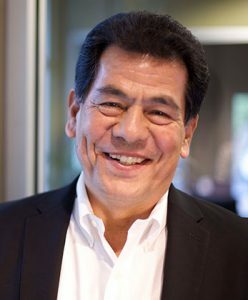 I recently sat down with Victor Buendia, Progressive Real Estate Partners’ resident gas station and car wash sales specialist, to discuss the differences in selling this type of asset that includes BOTH the business AND the real estate compared to a typical investment sale property. 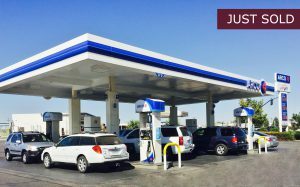 Victor has successfully closed numerous gas station and car wash transactions in the Inland Empire many of which have been with national brands including ARCO and Shell. Valuation: Valuing gas stations and car washes is clearly more art than science. It’s much more complicated than taking a net operating income and dividing by a cap rate. These properties tend to sell based upon multiples of gross sales and/or cash flow. Understanding barriers to entry, gas margins (profit per gallon), expense ratios, rent/mortgage to sales ratios, branding, potential growth, and other factors all go into coming up with a sales price. Sales Price Allocation: In your typical investment sale, the price is the price. In a business sale, the price is just the first part. Next you m ust get the buyer, seller, their accountants, the lender and the appraiser to all agree upon the allocation of the purchase price between the real estate and the business. The Puzzle Pieces: There are a lot of puzzle pieces when selling a gas station or car wash compared to a typical investment property. Although car washes have some of these issues, gas stations with convenience stores typically have employees, oil company contracts, an alcohol license, personal property, sales tax concerns, environmental considerations, etc. Understanding the issues and knowing how to navigate the sales process to address all these items is critical to getting a buyer through the process. Escrow Officer: Selling these businesses requires a team of professional one of which is the escrow officer. You need an experienced escrow officer who understands “bulk sales” which includes selling the business, the inventory and personal property. The escrow officer also needs to know how to notify the appropriate agencies as a part of the sale. Having a relationship with an escrow officer who not only understands the process, but is responsive and respectful to the parties is a key part of making the transaction go smoothly. Lender: There are only certain lenders that will lend on car washes and gas stations. Sometimes these involve U.S. Small Business Administration (SBA) loans. Knowing the lenders who know how to AND want to make these loans will save a lot of grief. Nothing makes a deal die quicker than when a borrower starts shopping a loan to a lot of different banks and they are told “no” by most of them. Environmental Issues: Understanding the equipment that has been installed on the site, the various regulatory agencies involved in monitoring this equipment, the reports that they issue and knowing what to do when additional environmental testing is required are all critical elements to the successful closing of the sale transaction. Unique Buyer Pool: Buyers of car washes and gas stations often overlap, but this tends to be the primary type of commercial real estate investment vehicle that they own. As a result, having personal relationships and a strong database with many of the owners of these properties in the region is critical to successfully marketing the listing. Most of these properties are marketed quietly as the operators do not want their employees to know that the property is for sale. This makes the process even more challenging. Knowing which marketing portals to utilize and how to present a property on these outlets increases the probability of success. Tenacity: As I have watched Victor close many of these deals, I am amazed at the issues that come up and the tenacity he has shown to keep these transactions together. It clearly takes a willing buyer and seller to close these transactions, but tenacity is key and there is no doubt in my mind that a broker like Victor is the glue necessary to keep the parties together through what can be an arduous and stressful process. I am super pleased to have Victor on our team. I admire his desire to serve his clients, his excitement in helping people through this challenging process, and his creativity in addressing the inevitable issues that come up in each transaction.